CSA Day is this Friday! 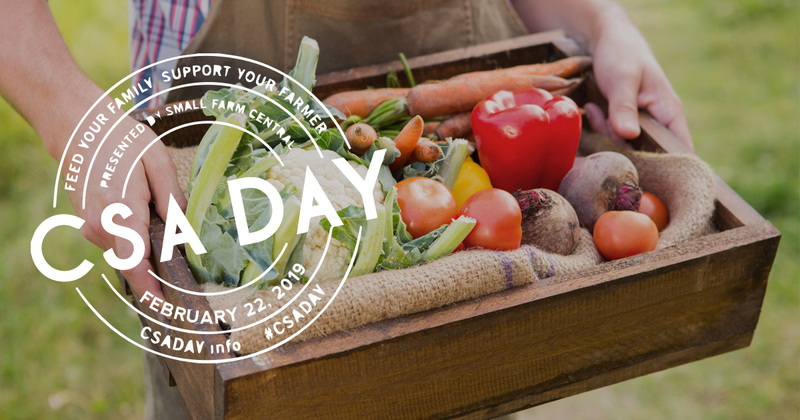 It is CSA Day this Friday — the perfect time to buy your farm share for the 2019 season! Community Supported Agriculture (CSA), or farm share, is a simple concept. A consumer buys a membership with a farm and gets a “share” of products from that farm throughout the growing season. Since the first CSA farms started in the United States at two farms in Massachusetts in 1986, this model has been wildly successful with many thousands of CSA farms in the United States, Canada, and spreading to the rest of the world. CSA / farm share is a vital piece of the local food economy because it allows small and medium scale farmers to compete against the traditional food system by guaranteeing a market for their crops. CSA / farm share is good for consumers too because it is the best way to form a relationship with a local farm and get the freshest, healthiest, and tastiest food into the kitchen. Whether you care about the viability of local farms, land use, environmental issues like the long distance that food travels in the traditional food system, or you just want to eat well.. you should be in a CSA program. Here at Harvie we are doing our part too by making CSA programs more customer friendly in the age of Amazon Prime, Blue Apron, and the plethora of other food buying options you have — customizable shares (never want beets, never get them! ), low up-front cost payment plans, scheduling around vacations, and recipes for the products you get each week. We want to make it easy, fun and tasty for you to support your local farm! Five years ago, I ordained the last Friday in February as “National CSA Sign-up Day” (since shortened to CSA Day) because, based on our data, it is the most popular day of the year to sign up for a CSA / farm share. More info at http://csaday.info/. So this week, if you have not already, join your local farm’s CSA / farm share program and make a promise to your farmer and yourself that you will buy healthy, fresh local food throughout the growing season. If you do not yet have a farmer, search harvie.farm or csaday.info/directory or reply back to this email with your address and I’ll find a farmer in your area. Thanks for supporting your local farmer! Join Our Harvie Farm Team! Harvie is seeking part-time interns for our Harvie Farm Team! Farm Team members will act as independent farm-to-fork sales representatives and help connect consumers to farms in the Pittsburgh area including Cherry Valley Organic Farm, Who Cooks For You, Harvest Valley Farm, Rivendale Farms, and more. We are looking for motivated, energetic, and dedicated individuals to connect the Pittsburgh community, workplaces, employees and consumers to our Pittsburgh area Harvie farms by building relationships both on and offline. You will get as much or as little as you put into this position. For example – just want to share information on your blog in a more traditional “affiliate”style? We have a place for you. Have some extra time and really want to engage with your community one on one about farm-to-fork eating? You’ll be rewarded for that as well! Do you vote with your dollar by supporting your local farmers? 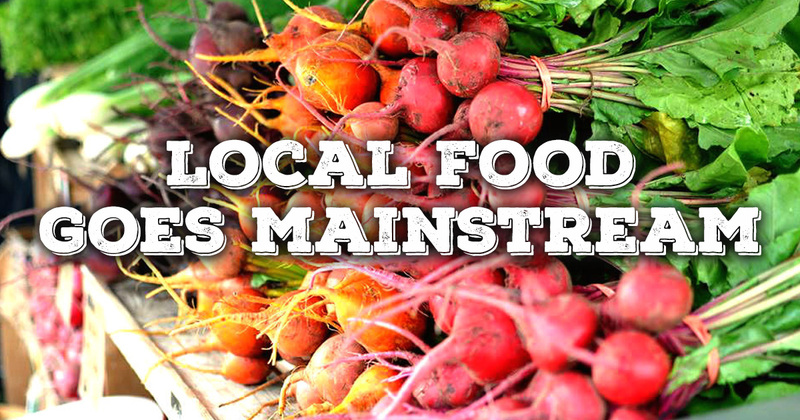 Are you always telling family and friends about the importance of local food? Are you considered the “go-to” person in your crowd when it comes to health and local food questions? Do you already have a platform to spread the local food word on your blog, Instagram, Facebook or LinkedIn? Are you active on social media with a high number of followers? Do you have a health or wellness related blog? 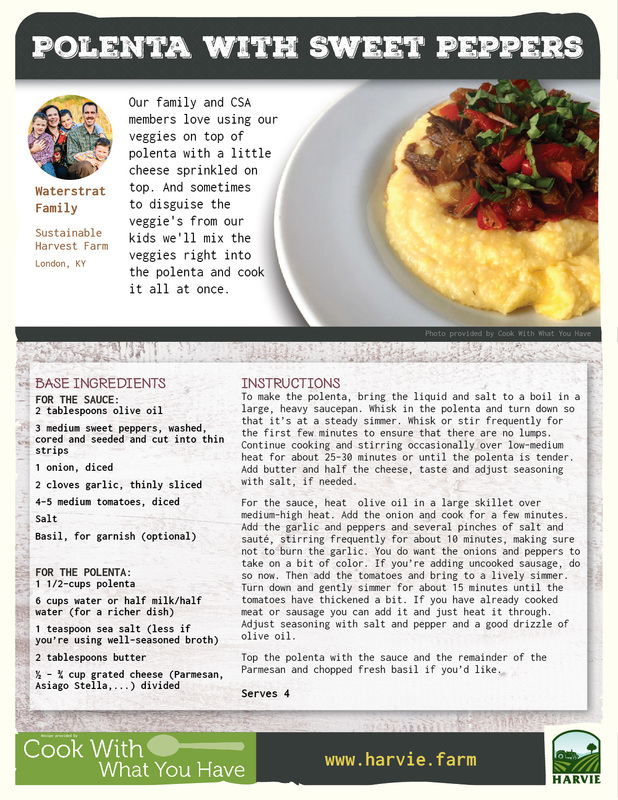 Want to blog about farm shares and share recipes? We’ll give you a customized link to track back sales to your social media and blog activities! Research, identify and build relationships with community members and organizers, put up posters, distribute literature and table at health and food related events in predetermined areas. Research, identify and build relationships with HR managers, wellness program managers, office managers or business owners to develop a farm share pick up location. This could include cold calling, setting up and attending meetings, doing educational presentations, securing location sites and promoting membership. Potential to help establish workplace farm share programs, staff a workplace pick up location and act as the point of contact for the farm and members. Other duties may be needed and will be assigned by the farm. 10 percent commission first year/5 percent commission second year directly linked back to your sales efforts. Fill out the application here. Our program manager will be in touch with you! As a local farm, you have many different sales channels available to you. For example, as some farms saw CSA sales decline, they shifted their sales to “small-scale wholesale” like aggregators or restaurant sales. Or you may be trying to decide between running a traditional CSA and transitioning to Harvie — how will the extra costs and benefits effect profit margins? This spreadsheet helps me to be confident that I can help farmers be more profitable even as they pay us a higher fee than before. Or perhaps you are considering moving to larger scale wholesale from direct-to-consumer channels: how will this change effect profit margins? I have gotten feedback from several growers on this, but I would love more feedback and to keep improving this spreadsheet. I have added comments to many of the cells to describe the thinking behind each assumption. Feel free to add your own comments and reply to mine! I think this can become an excellent resource for our community going forward. I would love to see your work so share back with me! The most interesting lines for me are row 38 with “Profit margin” and then extrapolating from that, ” Gross sales needed for farmer salary” (row 40). This data point describes, at a given profit margin, the scale of sales you need to drive through a sales channel to provide a fair farmer salary. However, “farmer salary” may also be paid through other line items like labor percentage (rows 3-6) or admin cost percentage (row 13), so that should be taken into account as well. This spreadsheet does not tell the whole story of farm profitability of course and each farm will have different numbers, but I think it is a useful of making decisions and planning the long-term future of your operation. 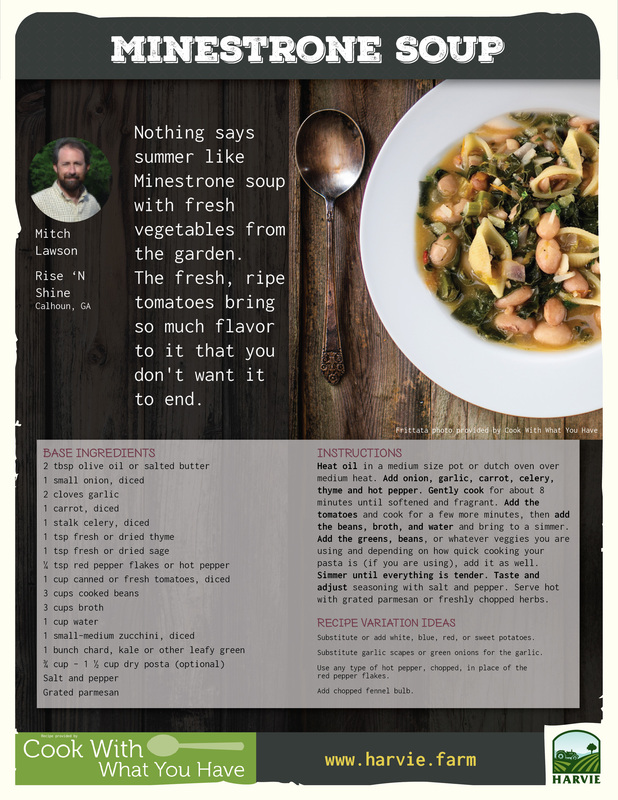 Need a little help with menu planning your farm share? Look no further! 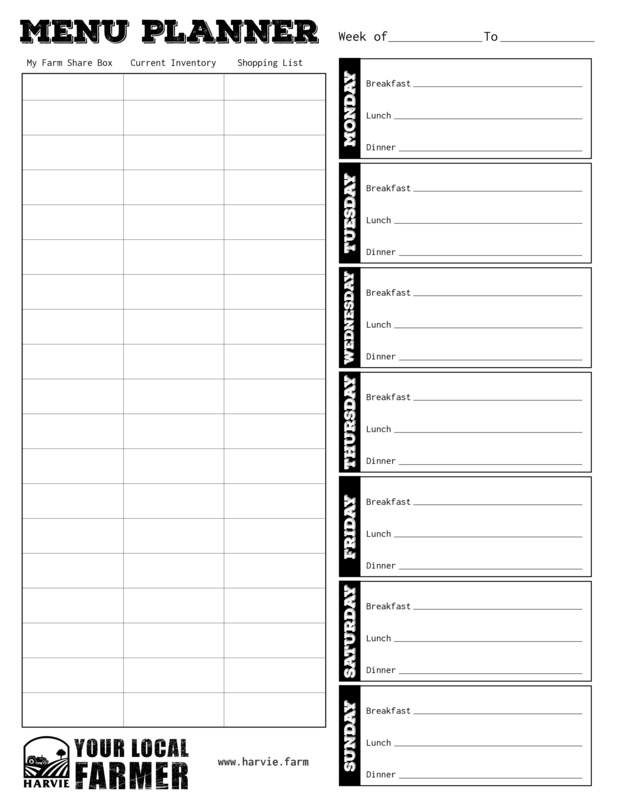 This planner will help you plan with contents from your farm share, what you have in inventory, and what you need from the grocery store! I’ve talked for years about how retention is a key statistic for a farm share program. High retention means happy members, less work and marketing cost to maintain membership each year and it makes growth much easier! There is also an argument I can make with math that makes it clear why retention is so important. Lifetime Value of Member (LTM) is the measure of how much a member will spend with your farm over the life time of their membership. Our newest staff member, Pablo is also a data guy so he has been digging into retention numbers on Harvie now that we have year-over-year data. We can compare that to data that came out of Member Assembler with the “CSA Farming Annual Report” that we did in 2014 and 2015. In the 2015 Annual Report, we found the average year-over-year retention rate for CSA / farm share to be 46.1%. For Harvie, we are seeing an average retention rate of 67%. That is a relative increase of 45% over a traditional CSA program. This is a huge increase and validates the year of customer research that I did before developing the concepts that underlie Harvie. So how does this translate to the bottom line or the “Lifetime Value of Member”? So for a traditional CSA farm at 46.1% retention, on average each member will be retained for 1.29 years. Using the average cost of a farm share from the 2015 CSA Farming Annual Report of $465.75/year, the Lifetime Value of Member is $600.81. For a Harvie farm share, to do a fair comparison I will use the $465.75/year and then add in 5% “delivery extras” sales because that is how much we see, on average, that members add to their share each week giving us $489.03/year. At the average Harvie retention of 67%, each member will stay for 2.5 years. So the Lifetime Value of Member for a Harvie member is $1,222.57. So this difference in retention takes the Lifetime Value of Member from $600.81 to $1,222.57. That is an 103% increase in LTM! Wow! To be clear, this means that every Harvie member is worth twice as much a traditional CSA / farm share member. Now take that increase, invest in marketing, invest in efficiency, invest in your employees, invest in your quality of life, or invest in spending time away from the farm with your family. This is why I do the work I do. It is gratifying to see that my hunches and my research on how we can improve the profitability of CSA / farm share programs are being validated in the data. I want to help farm achieve financial success, but to do that we need to charge for our services. So, the case I must make with farms is, while you pay us, Harvie will at least maintain profit margins, if not increase them. If I can’t make this case, your farm should not adopt Harvie. Simple. We only get paid when you get paid. Many of our farms increase prices to cover the fee since this is a service to the customers. Many farms give 10-30% more retail value in shares than members pay for. With Harvie’s technology and customized shares, members get what they want and they get retail value. This means that our farms can generate 10-30% more revenue off the same production. Decrease in admin time means saving on staff costs – many of our farms report not needing a dedicated farm share manager. Harvie helps farms grow membership so the same equipment can be used to serve more members which increases profitability. Moving farm sales from low margin channels like wholesale to high margin farm share sales increases profitability. Reduced marketing expense due to higher retention rates. If you are a “numbers” person you will appreciate this Cost-benefit analysis spreadsheet to quantify the added costs and benefits of Harvie. Download your own copy and edit with your own numbers using these instructions or I can work through this with you. For example, an average 250 farm member farm will see a yearly net-benefit of $72,000 by joining Harvie. Harvie is the kind of cost that makes you money.